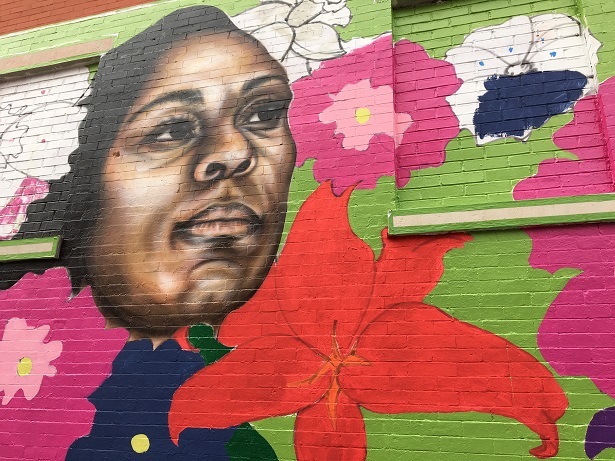 A new mural can be found on the corner of East Broad and North 1st streets, one that explicitly celebrates black girls, and demands that they be treated with the respect they deserve. 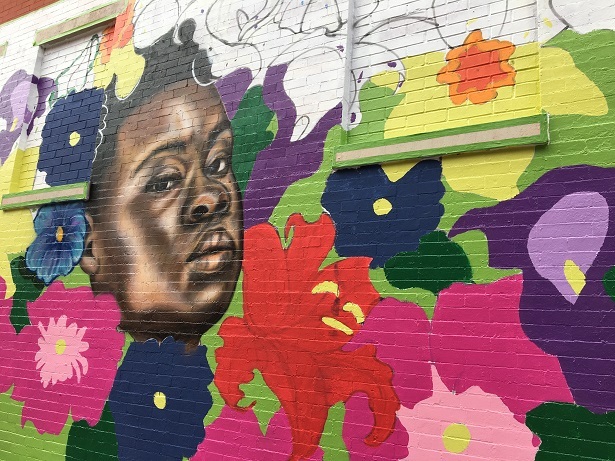 The initial idea for the mural came from Girls For A Change, a Virginia-based organization whose mission is to empower and support girls of color to enact social change and to work for a brighter future for black women. In November of 2016, Girls For A Change students from John Marshall High School spoke to the Office of Community Wealth Building about the prejudices that black girls face, as well as the economic realities that the girls have struggled with. The department’s director, Reggie Gordon, asked the girls about their ideas on how to deal with poverty in their communities. Richmond muralist Hamilton Glass saw this meeting when it was broadcast on Facebook Live, and was inspired to reach out to the girls to forward the idea. Glass started working with the girls on the mural soon after. Girls For A Change members, Glass, and 60 volunteers from Virginia Credit Union gathered together to paint a large portion of the mural on Sat., Oct. 14. Virginia Credit Union provided funding for the mural. The bank is also providing the Girls For A Change members with financial education, as well as mentoring girls who need assistance with their financing. HandsOn Greater Richmond helped facilitate by closing off streets and procuring supplies. They were also tasked with coordinating communication between the various groups involved, in addition to managing the recruitment of the volunteers, according to Kathryn Lienard, corporate program assistant for HandsOn Greater Richmond. While work on the mural was not completed on Saturday, Glass and VCU art student Austin Miles are set to complete the mural, located at 24 E. Broad St. by Tuesday, Oct. 24. 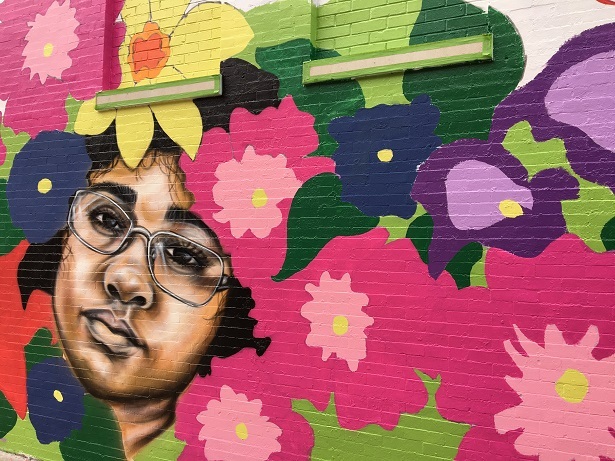 The girls hope that the mural will help change the way people think about black girls, Patton said.